Laser Therapy: Get relief without drugs or surgery! 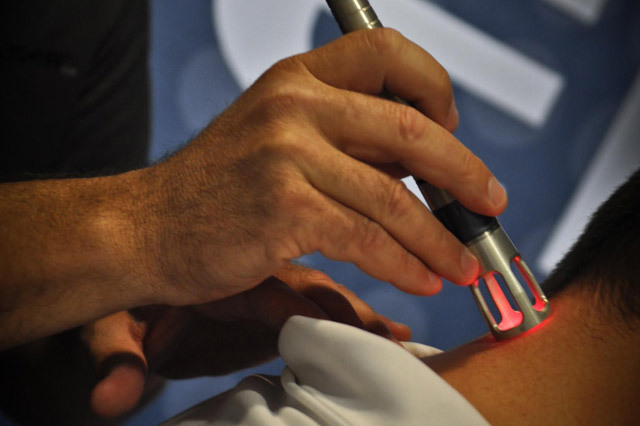 Our clinically proven laser therapy reduces pain and accelerates healing. 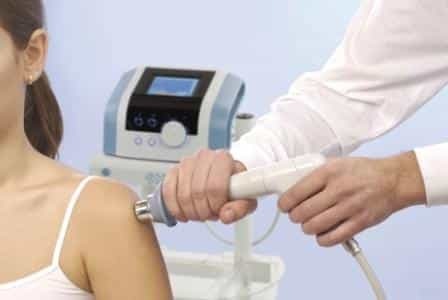 This medical laser provides safe, non-invasive relief to areas of injury or long-term pain. As an elite provider of Laser Therapy in Richmond Hill, we pride ourselves on treating our patients with state-of-the art advanced pain relieving modalities. Laser Therapy is embraced to treat conditions such as acute, sub-acute and chronic pain, back pain, bursitis, carpal tunnel, arthritis pain, fibromyalgia, ligament sprains, tendonitis, tennis elbow, soft tissue injuries and muscle strain. Laser Therapy has also been well received by professional athletes around the world, due to its effectiveness and great results. The best news is we include Laser Therapy as part of your treatment plan in most cases, so you do not have to pay anything extra to benefit from this great service! Kinesio Taping: Tape it Up! The colorful tapes you see on professional sport players and increasingly on endurance athletes is more than just a fun shade of athletic tape. Kinesiotaping, or Neuro-proprioceptive taping is a new type of therapy that optimizes tissue regeneration by either stimulating muscles or working on cutaneous and subcutaneous tissues. What makes Kinesiotaping effective and safe is that it works based on the body’s natural healing process. Like any medical treatment, Kinesiotaping works the best when it is performed by a trained practitioner. At Altima Wellness Centre, you receive Kinesiotaping therapy only from a licensed practitioner who has been certified to provide such service. This therapy is covered under Chiropractic and/or Physiotherapy services.